The check engine light is one way your car tells you something is needs attention. Unfortunately, ignoring the check engine light can lead to potential danger and thousands of dollars in consequential damages. However, if your car doesn’t sound like a team of animals are under the hood playing around and making noises, then you are probably not in any immediate danger. Here is a simple guideline to tell if you're car issue is severe and requires immediate attention, or you have some time to wait until getting it fixed. If your car falls on the “not serious” category above, then you’ll have some time to get your car fixed. However, don’t wait too long. The light is indicating that something is wrong so get it fixed ASAP. 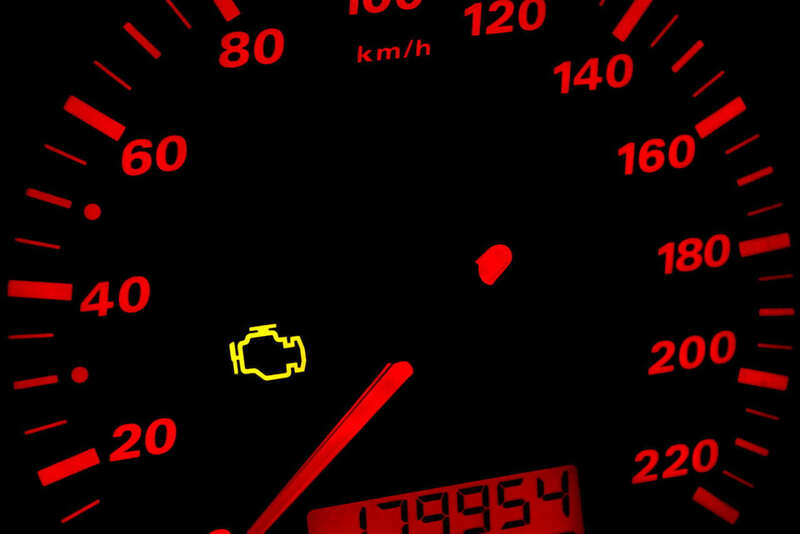 In the meantime, here are some potential causes of your check engine light appearing. The oxygen sensor measures the amount of unburned oxygen in your vehicle's exhaust system. A faulty O2 sensor burns more fuel than needed causing you to lose fuel economy, and get fewer miles per gallon. Faulty sensor(s) can cause damage to your spark plugs and catalytic converter. An O2 sensor is easy to replace. In most cases, it requires unplugging the old one and replacing it with a new one. The actual sensor is relatively cheap in the grand scheme of car issues. Search the internet for instructional videos and articles that are specific to your car, to see if this is something you’re comfortable DIY. Nevertheless, you can always take it to your trusted mechanic. The gas cap seals the fuel in your vehicle. It helps keep the pressure in the fuel tank and prevents gasoline fumes from being released into the atmosphere as you are driving. If you don’t replace it, you can lose fuel through evaporation causing you to consume more gas then needed. If you notice your check engine light appearing after fueling, then pull over and check the fuel cap. Look for cracks or other damage. Replacement caps are cheap. You can purchase one for as low as $3. If you see any damages, then tighten the cap as much as you can. Drive around for about 30 miles to allow your car to recalibrate the information change and the light to turn off. Your catalytic converter helps protect our environment by converting harmful carbon monoxide into carbon dioxide. Damage usually occurs due to neglected maintenance. If you don’t replace it, your vehicle won't pass an emissions test (smog test), and you'll experience reduced performance and fuel economy. Another indication is that your car might run at a higher temperature. Your mass airflow sensor measures the amount of air entering the engine to determine how much fuel is needed to run your engine efficiently. Not replacing a faulty sensor causes damage to spark plugs, O2 sensors, or catalytic converters. Consequently, there will be a significant reduction in performance and fuel economy. Your spark plugs ignite the air/fuel mixture in the combustion chamber of your vehicle. The spark plug wires deliver the spark from the ignition coil to the spark plugs. When you drive around with bad spark plugs and plug wires, your call will perform poorly and reduce fuel economy. Worn plugs and plug wires can cause a clogged catalytic converter or damage to ignition coils and O2 sensors. Spark plugs replacement is another easy DIY car projects. Spark plugs are cheap to purchase and a standard item in auto part stores; so, the chances are they have them in stock. Depending on the vehicle, the entire replacement takes only a few hours or less. The check engine light is designed to keep the driver informed of any number of sensor failures or engine irregularities. These are just the common few causes for the check engine light to come on. There could be some other reasons why the check engine light is on, and your car requires attention. Refer to the guidelines listed above to indicate if your car is in any immediate danger. However, don’t ignore the inevitable and take care of your car. Keep yourself and other people on the road - safe.